Most people set out unequipped to achieve. Just as there are certain laws that govern nature, there are laws that govern performance and achievement. Unfortunately, people are either unaware of them, and therefore do not align themselves accordingly, or they simply are not applying them. As a result, many people chase after goals, but find that the results they desire constantly elude them. If you want to be someone, achieve something, or get somewhere in life, you must understand the governing laws that turn dreams into reality. Over the last few hundred years of recorded history, common denominators that lead to personal success have consistently surfaced. 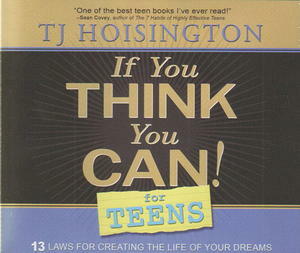 TJ has gathered these distinctions into a single book to share with you.